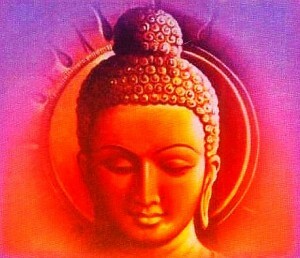 It’s Wesak today, Buddha’s birthday. People celebrate all over the world, especially in Wesak Valley in the Himilayas. The Wesak moon allows for extremely easy interaction between multidimensional realities and 3D. It’s also a period where our ascended brothers and sisters are able to project an expanded Divine Light into 3D to lighten hearts and minds. We will do an activation of this energy and fly merkaba airlines to Wesak Valley. I will manifest an etheric container, a large bowl of crystal in the middle of our circle and fill it with water and open a connection with the Wesak Valley and through Central Sun through the heart of Buddha Maitreya. The energy flows into the bowl into the water and as it flows into the water, the water’s programmed that it reflect into all our hearts the compassion of the Buddha. As this compassion flows into us, open your hearts, open your hearts, open your hearts. I also ask for the presence of St. Patrick. Now connect through our hearts and generate this living energy. We activate, activate, activate and off to the Wesak Valley we go. As we arrive in the Wesak Valley, we may see many people there—Buddhists, Muslims, Hindus, Christians, priests, priestesses, sadus, men, and women. Take notice of the concentration of light shining from the other realities and from the heart of Maitreya and the collective consciousness of the ascended beings. The heart of Buddha Maitreya is represented as a lotus with 12 petals. This lotus is big enough for all of us to sit within. Let’s sit within it and absorb this compassion of Maitreya. For those of you who would like to receive, we will bring you the activation of the compassion of the future Buddha in the Wesak Valley and into your multidimensional bodies in the physical. I affirm I am open and willing to facilitate this activation. I bring the activation in accordance with the will of your I AM Presences and true selves, Monads, and Divine Will. I start grounding it now. Sit in this now. Grounded and activate, activate, activate. In the meantime, the compassion still keeps flowing through the column in Wesak and now we have grounded and activated it. This allows us to ground a deeper and more profound aspect of this compassion. Now would be a good time to look into your hearts and inquire inside yourself. Do you have compassion for yourself? Please understand that without compassion for one’s self, there is no compassion for others. It’s only an illusion or dream. If you find aspects that do not have compassion for one’s self, I suggest you could call upon St. Patrick and St. Brigid as masculine and feminine energies to assist you in transmuting these aspects of noncompassion for yourself. As you clear these elements of noncompassion for the self, you can ask Maitreya to give you an expanded infusion of this energy of compassion. At St. Brigid’s Well, we allowed the Divine Love to spread to all beings on the planet. Now let’s spread this compassion to all beings on the planet. Remember, Jesus said to forgive the people who wrong you. Give to them that trespass against you. With this compassion, allow the forgiveness to flow into our hearts of everything that is real or imagined, whether it’s on a personal level, national level, or religious level. Now we will get ourselves together and leave the Wesak Valley and immediately return to this Holy Cross Abbey. Integrate ourselves with our bodies again. Continue to allow this energy of compassion to flow through us from the crystal water. The final affirmation is: I am the embodiment of compassion. I AM That I AM.